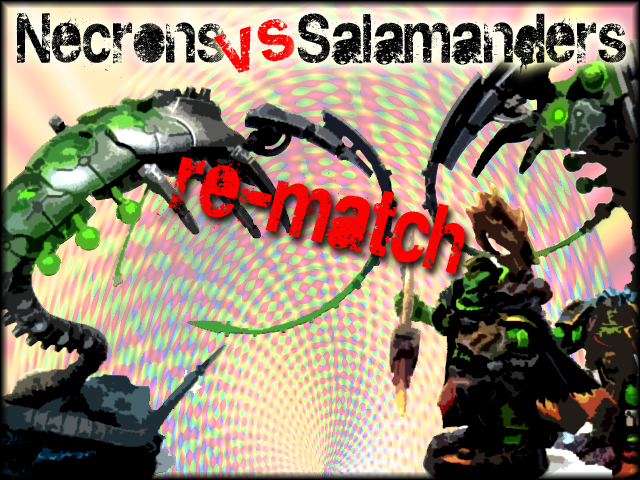 We did another take on the previous report of the WargamesCON raffle Necron army versus Space Marine Salamanders. This battle turned out very differently with some great maneuvers and match ups. Necrons gave up the first turn and made good use of the Solar pulse again. 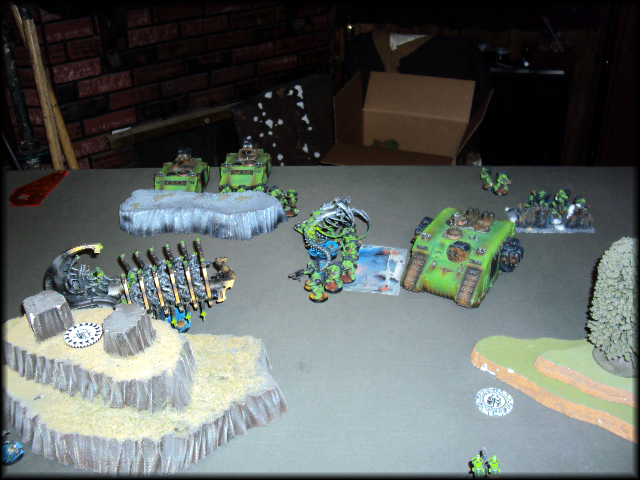 This time, the Terminators survived the Necron shooting and plowed through much of the army. Click below to see more pics from this battle. If you are going to WargamesCON, you can purchase raffle tickets for a chance to win this Necron army. In anticipation of the upcoming WargamesCON in Austin later this month, we put the recently completed raffle army up against the Space Marine Salamanders. Necrons got the first turn and made good use of the Solar pulse to frustrate the Space Marine shooting by making it night fight. Spyders in the backfield kept making scarab bases, which eventually took out the Landraider and forced an emergency disembarkation for the Terminators and Vulcan. His squad got charged by the Lychguard, Crypteks, and Overlord making short work of them and securing the win. Click below for more pics from this battle and thanks for taking a look.